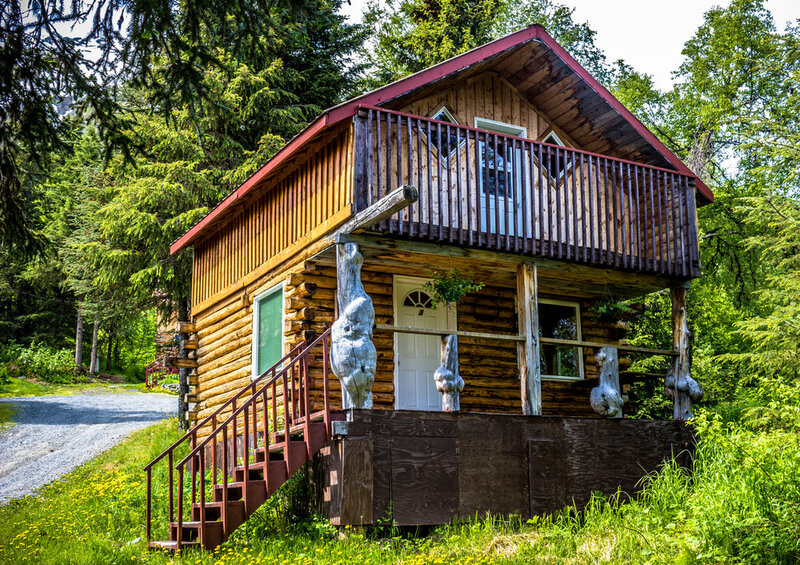 We offer a selection of unique, hand-crafted log cabins with various furnishings to provide you with an enjoyable and relaxing stay. Find out more about our cabin selection here. This cozy cabin is perfect for a romantic getaway for two. Our Rustic furnishings make longer stays here a wonderful experience. Our Chinook is ideally suited for a family of four. Are you ready to spend some time together with your family? The Coho offers a great configuration for small families to enjoy their stay. This spacious cabin has room for a moderate to large family. Our furnishings make longer stays here a wonderful experience. The Papa Bear is the right fit for a moderate to larger family. Are you looking for that comfy cabin for two? Come enjoy the Sockeye for a week or two. It's a great spot for being cozy with your special someone.